In this series we will look at the idea that the things that we think of as huge problems to society actually remove our focus from the real issues that can destroy a community. We have unrequited and uncensored vices in our heart; flaws that can't be made illegal, such as pride, lust, envy, gluttony, greed, anger and slothfulness. It's not possible to legislate the contents of a person's heart. These things have to be dealt with by each of us on the inside. This series will give helpful thoughts as to how we can deal with these issues in our lives instead of avoiding them or deflecting them onto other people. A different perspective to the norm. This audio series is life changing with simple keys to unlock the potential within. If you are sick of your life, listen to this and make some changes. 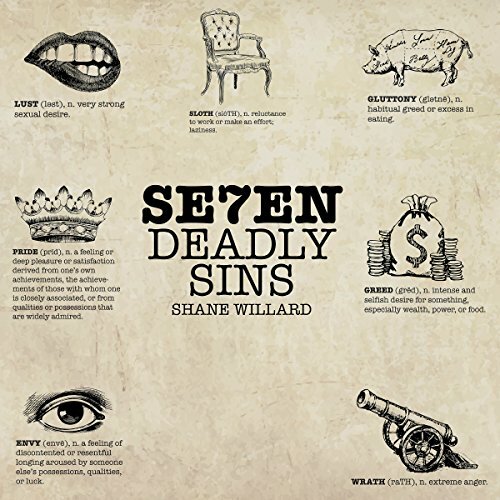 Shane Willard is amazing ! !